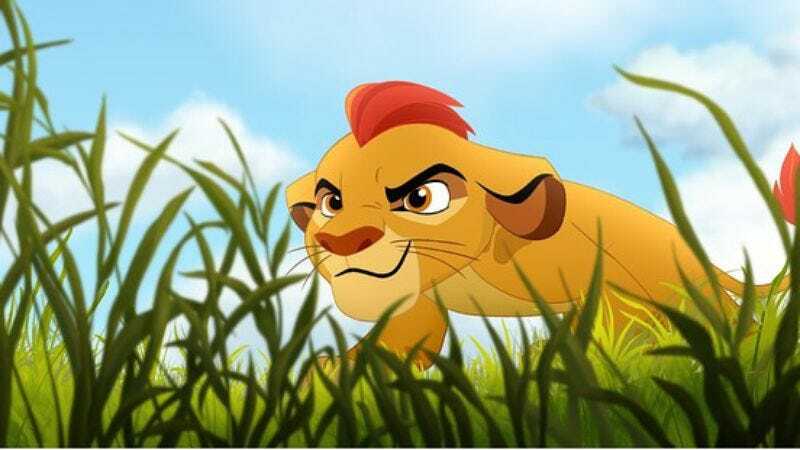 It’s the circle of (unending spinoff) life, as Disney Junior—Disney Channel’s spunky younger sibling—is planning a sequel movie and television show to 1994’s smash hit The Lion King, called The Lion Guard. The story will follow Kion, Simba and Nala’s second child—because duh, their oldest cub Kiara already got her own sequel film, The Lion King II: Simba’s Pride. The Lion Guard follows in the footsteps of both that film and another spinoff TV series, Timon And Pumbaa, which aired from 1995 to 1998. Fans of the series can also expect drop-ins from Kiara, Timon, Pumbaa, Zazu, and the cloudy ghost of Mufasa. The kick-off film will air sometime in fall 2015, followed by the series’ debut in early 2016.